This is a first. Me reviewing a play. Never saw that coming. My sister goes to the River Church in Holly. She invited me, my brother and our parents to see the play with her and my niece. 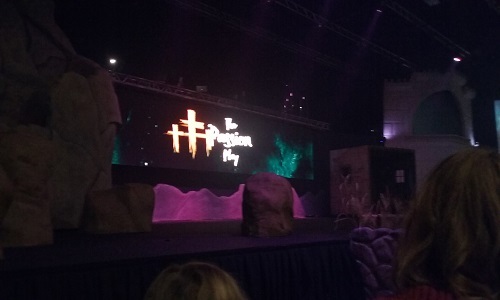 I guess the church has The Passion Play every year. I don’t know if the play is made up of members of the church or if they’re performers from anywhere who just happened to land the roles. I will say this, they are very professional. The people who put this thing on know what they’re doing. The acting was great, the music was great, the singing was wonderful, the lights were great, the background videos were great. This is a very high quality performance with believable special effects. I’m deaf. I can hear well enough to enjoy the music and I can hear when there’s dialog, but I could not make out a word that was said or sang. Even so, I know the story of Jesus and I knew what was going on. There was a particular female singer who’s singing was so beautiful, it filled my heart. I was disappointed when her performance ended and she hurried offstage as others were coming on. I don’t know who she was cast as. Maybe Mary, maybe another woman from the Bible. It was pretty neat how swiftly the stage changeups were. An act would end, the lights would go out for about twenty seconds. When the lights came back on, there would be one large object or another in the middle of the stage. I was like, how did you get that up there so fast? Also, at times, I saw Jesus on one end of the stage. In the next couple seconds, I’d notice he was on the other end of the stage, and I’d wonder when he moved over there. I don’t know if that was part of the show or if I just lost track of him. Whether you’re religious or not, whether you believe the Bible or not, I think you could enjoy The Passion Play. 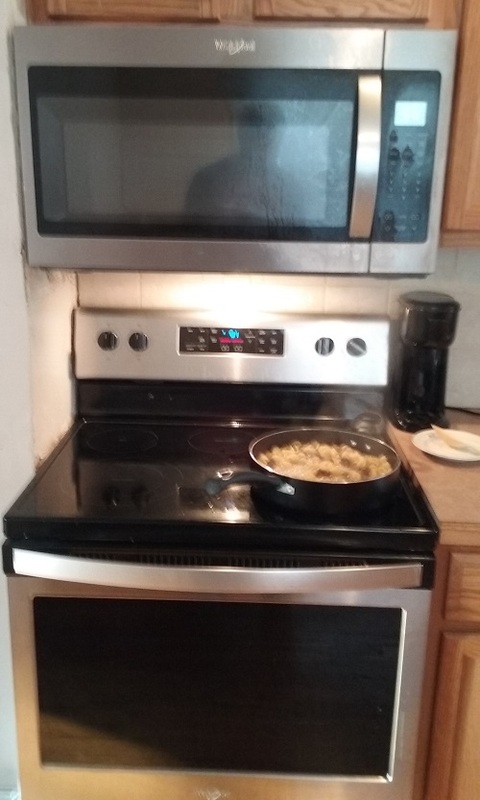 I sure like my new stove. I’ve used it a lot since I got it in December. It cooks better than the old stove did. The best part is, I don’t have food getting under the burners anymore. What you see there is a pasta-ground beef mix. Other news. The Pistons are in the NBA playoffs. This is the second game. 2nd quarter. Pistons 36 – Bucks 41. I think they need to win four out of seven games. They already lost the first game, hope they don’t lose tonight. This is brilliant. Sarah Wagner‘s Hardwired Humanity is a fun read. We’re talking about artificial intelligence so well done you’d think they were human. 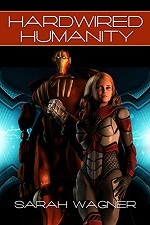 Some people want to create an A.I. army to replace humanity as we know it. But in order to perfect their creation, they need a chip from an A.I. on the run. That’s where things get crazy. A fine science fiction thriller. These are dark days. Everyday, I see how the darkness is spreading and becoming more firm, solidifying. Yet, I’ve been mostly silent about it. It’s not that I don’t care and it’s not that I’m ignoring it. It’s just that I don’t know what I can say that hasn’t already been said a million times, that hasn’t already been heard by everyone a million times. There’s nothing I can say that’s going to change anyone’s mind. If you agree with me on an issue, it’s because you were always in agreement with me. If you disagree with me on an issue, you’ll never agree with me. I could participate in the constant sharing of memes and articles on social media and insert messages like “See! See! Look stupids! Proof that you’re wrong!” But what good does that do when the only people who take your post seriously are the people who are already on your side. To stop the darkness, you need to take real action. The word wars on social media will accomplish nothing. Burned sticks and leaves yesterday. Still have a lot to burn, but it snowed overnight and everything’s wet today. I looked at that kettle more closely. All I see on the bottom is a T. Don’t think it means anything. While I’m hearing that people used the exact model generations ago, it was also pointed out to me that the exact model can still be bought at Target for $24.99. But even if mine is a true antique, it has some rust on it and I don’t think it’d be worth much. I don’t think I’d sell it anyway. It came with the house. 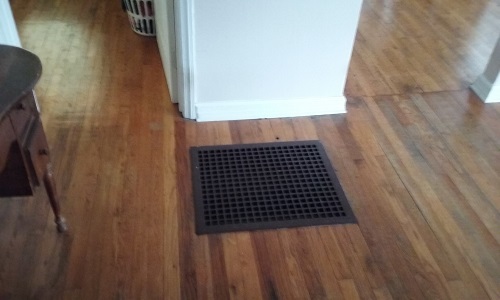 It probably used to sit on the woodstove that’s no longer there. 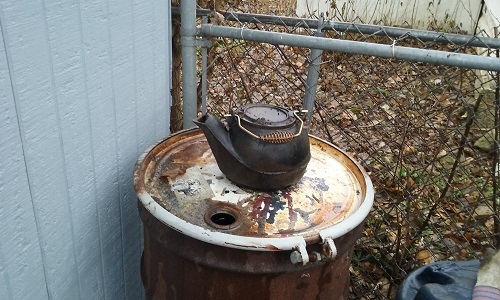 Two people had stories about kettles like mine, and they both said theirs were always on their wood/coal stoves. I had a late start today, but managed to get 632 words into the novel. The total pagecount is now 534. The total wordcount is 107,548. I’ll probably need another 50,000 words before it’s done.